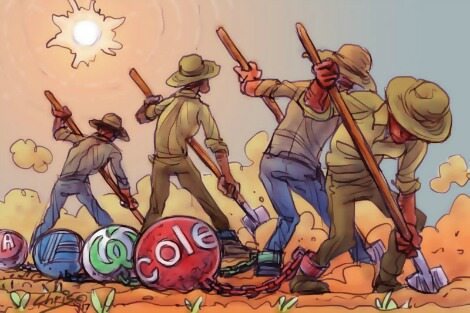 In 2015, Four Corners exposed the nature of the use (or, perhaps more accurately, misuse) of migrant labour in the Australian horticulture sector. Four Corners focused on the labour hire providers that employ the migrant workers and send them to a grower. It found evidence that the labour hire providers routinely underpaid these workers. Once working on-site for the grower, some of these workers were required to work excessive hours and endure unsafe working conditions, including harassment and abuse in some cases. Subsequent inquiries at both the federal and state level have confirmed that such non-compliance with workplace laws and occupational health and safety laws is indeed prevalent in this sector. One of the key proposed solutions is to introduce a labour hire licensing scheme. Such a scheme would require labour hire providers to obtain a licence before providing any services, and require any labour user (such as a grower) to enter into work arrangements with licensed labour hire providers only. To obtain the licence, the labour hire provider would be subject to certain background checks. To maintain the licence, it would be required to comply with certain licensing conditions, which may include ensuring that the minimum statutory entitlements of workers are met, and keeping records of this. Such a scheme already exists in the United Kingdom. There is great potential for a licensing scheme to bring a degree of labour supply chain regulation into the horticulture sector. But there are complex reasons behind the prevalence of migrant worker exploitation in the Australian horticulture industry, and a licensing scheme is no cure-all. Firstly, in Australia, a licensing scheme would operate in an environment where unauthorised migrant workers are particularly vulnerable to workplace exploitation. It is estimated that up to a third of migrant workers in the sector are in this position. "There is no incentive for the most vulnerable category of workers to report non-compliance with workplace laws, or with any licensing conditions if such a scheme is introduced." At present, if an unauthorised migrant worker is discovered, the enforcement mechanisms under immigration laws take effect. If a migrant worker is working in breach of her visa conditions, her visa may be cancelled and she may have to immediately leave Australia. If a migrant worker does not have a valid visa, she may be detained and deported. In both cases, it is not clear whether she would be covered by workplace laws at all, because she is working in breach of the Migration Act 1958 (Cth). There is, therefore, no incentive for the most vulnerable category of workers to report non-compliance with workplace laws, or with any licensing conditions if such a scheme is introduced. In evaluations of the scheme that exists in the United Kingdom, this was identified as one of the key barriers to targeting the most serious types of exploitation in the workplace, such as labour trafficking or indentured labour. There is clearly a need to ensure, as recommended by the Productivity Commission, that all workers are covered by Australian workplace laws irrespective of their immigration status. Secondly, retailers also play a key role in this sector. The competition between major supermarket chains is fierce and manifests in cost-cutting measures taken to keep prices down, including within the labour supply chain. The suggested licensing scheme does not touch retailers at all. Rather, it concerns those at the lowest-end of the supply chain, being labour hire providers and their users. This suggests that any exploitation that occurs is the result of 'rogue' labour hire providers — rather than a symptom of a highly-competitive environment, where the pressure to keep costs down is high. Again, the experience in the United Kingdom has been that retailers exert a considerable amount of power and should be included in regulatory efforts. Particularly because retailers — unlike the growers and labour hire providers at the lowest end of the supply chain — have more resources and organisational capability to engage in supply chain management. So, while the suggested licensing scheme is a clear step towards clamping down on workplace exploitation in this sector, it is not enough. Attention needs to be paid to all the structural causes of the non-compliant activities. This is a complex problem requiring nuanced and multi-faceted policy solutions. Sayomi Ariyawansa is a Melbourne lawyer and Graduate Researcher at the University of Melbourne. Sayomi outlines the conditions many migrant workers in the agricultural sector work under. In the past in Australia exploited workers organised themselves into unions and represented themselves to employers and governments. In our early years this action and organising took place especially in the wool industry and amongst the shearers. I believe now is the time for a Christian Worker Movement to be formed which would involve itself in these and other industries where exploitation of workers is rampant. Is it not interesting than so many of the 'rogue labour hire providers" are themselves migrants. We have recently seen the same from "rogue education suppliers" to the tune of millions of dollars cost to the taxpayers. Migration certainly enriches the country but one thing we have all learnt is that not all cultures adhere to the same ethical principles that once ruled behaviour in this country and sadly some of our own have adopted these self-first ethical principles. It is dubious that this nation out of fairness and "justice" seems hell bent on accommodating imported corruption in some areas. j f: "So many of the 'rogue labour hire providers' are themselves migrants". Except for the Indigenous population, we are all either migrants -willing or unwilling- or descendants of migrants. It is all a matter of survival and adapting to situations. Unfortunately not everyone can manage to do it with grace and propriety. It is part of the task of Governance to provide the conditions that will promote such an ideal outcome. Again unfortunately it does not seem to be high on the list of Government priorities. Rather than sitting in offices, State industrial inspectors need to be doing spot checks and audits of hired labour on the farms and reconciling this with the records of labour hire firms. Great article; well nuanced. Thanks. All high immigrant societies everywhere do/have faced this same dilemma: the balance between "humane" regulation on the one and, and on the other allowing the poorest of the poor (often illegal) the chance to get their very first step on the ladder of employment. Costs/red-tape versus employment opportunities: not the 25-50% youth unemployment in Italy and Spain to see the other side of "fantastic" employment protection. Indigenous workers of previous generations struggled and undertook strike actions so that their descendants would not be exploited and abused in the same way that they had been. While we may have many more Aboriginal people achieving and attracting higher waged work than we did in the years gone by, the exploitation of the most vulnerable in our community continues. The years may have ticked over, but the government's attitude to the value of Indigenous workers has not.